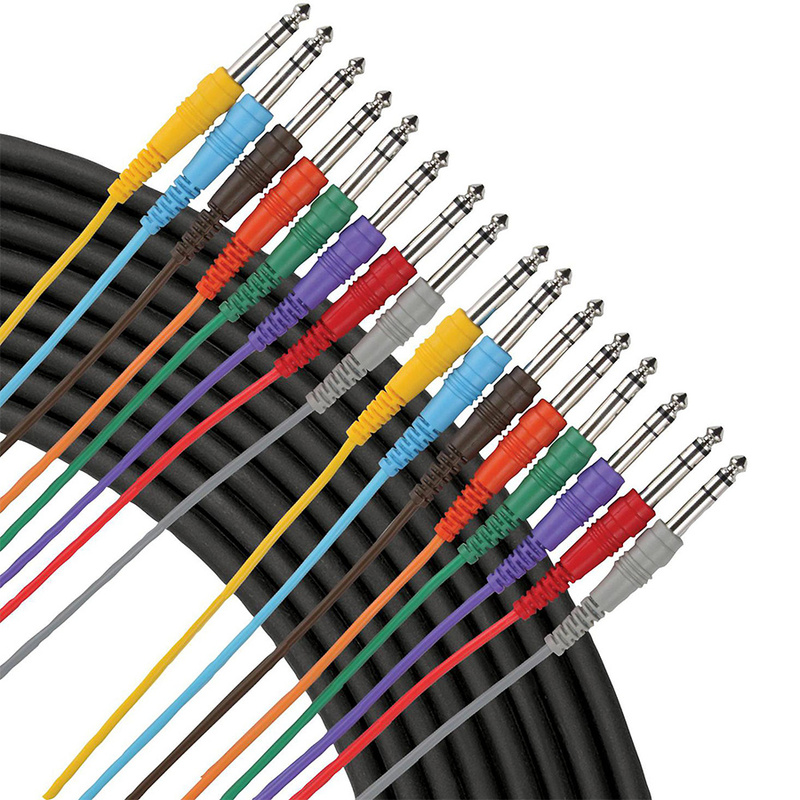 Livewire Essential A8TT studio snake features 8 balanced audio channels with fan-to-fan 1/4″ TRS tip ring sleeve connectors for use with patch bays, mixing consoles, rack cabling, and audio interfaces. Molded strain relief. Guaranteed for life!